RST Technical provides a full range of handyman services. Sometimes your honey-do list gets a little bit too long and you need to call in a little bit of help. We will send a team of professional dubai handyman experts who will go through your list point by point and complete all the little fix-ups your home requires. All of our employees complete every job to perfection, and are curtious and professional. 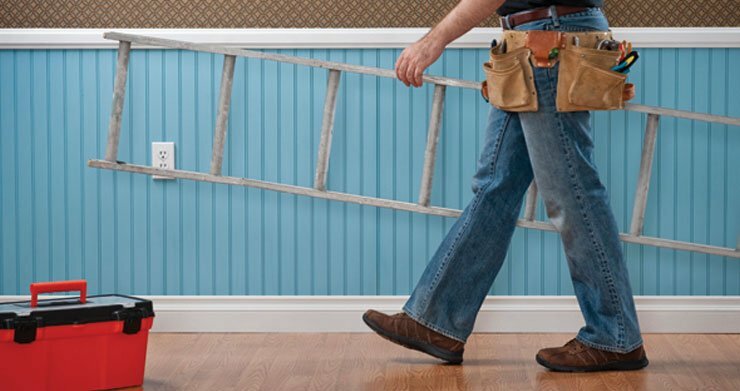 Our handyman services are also a popular choice for people who are preparing a home for sale or who have just moved in and notice a few things that need fixed up. Give us a call today for your free consultation and a detailed estimate! RST Technical is proud of our excellent customer service including accurate quote and attentive ear to your wants and needs. Coupled with our high quality painting service, we are one of the premier painters in dubai. We have over 10 years of experience in handyman services and would love to help your dreams become reality. RST Technical is a dedicated provider of property maintenance services in Dubai providing a full range of building maintenance services across a wide range of trades all over U.A.E. We provide building maintenance services to both commercial and domestic customers so whether you are looking for a Dubai Plumber, an Emergency Electrician, a Handyman or a painter and decorator we are able to provide a maintenance solution for your needs. We are also able to provide emergency 24 hour property maintenance services covering plumbing, locksmiths, and electrical faults and glazing if required. We undertake a wide variety of jobs from simple repairs to complete property refurbishment including new kitchen, new bathroom and full re-decoration. We Offer Professional Multiskilled Handyman For All Property Maintenance House Odd Jobs Repair. Specialize In Small Jobs. Dubai Technical Handyman Service Commercial & Domestic Property Maintenance Services on call available on short notice. And All Those Odd Jobs You Never Find The Time To Do Or Calling Ten Different Trader To Sort Out All. A jack-of-all-trades establishment, Dubai Technical gives you the freedom to toss your “honey do” list in the trash with triumph. Offering prompt, reliable and efficient services, we will make your Saturday a little less stressful, whether it’s fixing up the broken fence that’s been sitting in your yard for years, or painting the outdated interior of your ’70s style home. Staffed with a team of reliable professionals, this handy company prides itself on unparalleled services that are sure to leave your home looking both clean and stylish. Fit in your last few moments of relaxation before the hectic nature of the new year, and enlist some help from the folks at Dubai Technical. Trained in a plethora of services, this respected company is sure to leave your abode in tip-top shape. Call to book your appointment, today. Our Range of Services Includes! Carpentry, Plumbing , Decorating, Electrical, Flooring, Putting Up New Extractor Fan, Fitting Lights, Hanging Curtain, Rail Assembling, Furniture, Fixing Bed Wardrobes , Kitchen Cabinets Etc.Garage Clearance, Loft Clearance, Garden Clearance, Junk Removal, Furniture Disposal, Building Garage, Wall Partition, Small Demolition, Garden Furniture, Jet Cleaning etc.